Jade Raymond, the founder of Ubisoft Toronto and Motive Studios, is set to start a new chapter in her life as the head of Google’s newest studio, Stadia Games and Entertainment. Designed to help re-imagine games for Stadia, the new studio is meant to help developers as they work to bring their games to the new technology, while also developing their own titles for the technology. 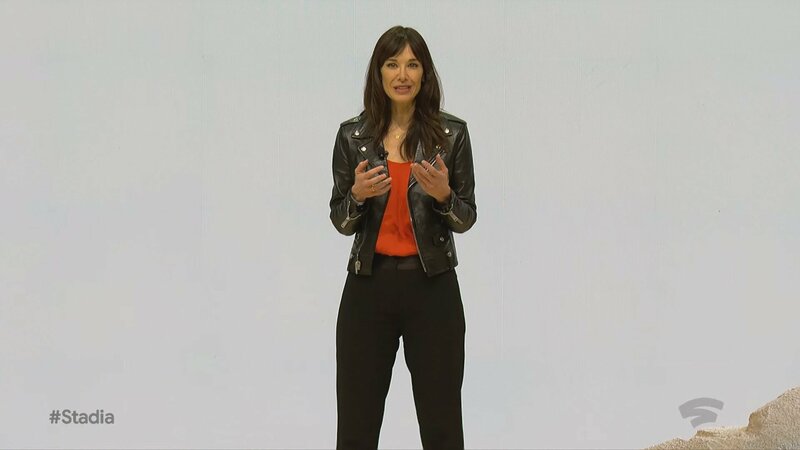 Not much is known about Stadia Games and Entertainment, aside from what Jade Raymond touched on during today’s reveal. We have seen some interesting titles make a debut on the new technology today, though, and from the sounds of things, it appears that the new studio will focus on both development and publishing. This will ultimately allow Google to create first party titles for Stadia, as well as help other developers to optimize their games to run on the new tech. According to the release today, games like Doom Eternal will be available on Google Stadia at some point—in fact, during the presentation it was revealed that the entire game has already been ported over. No matter what you think of online game streaming software, Stadia and the other announcements we saw coming out of GDC 2019 are promising and something for developers and consumers alike to keep in mind. Still, though, the fact that Google has managed to catch a skilled and well-known developer like Jade Raymond is exciting, and we’re interested to see where Google goes with the new studio. Considering the fact that Stadia is set to release this year, it’s definitely interesting to see Google taking such a hands-on approach to the entire thing by forming their own studio and development team to help others bring their creations to Stadia. We’ll continue to update you with new information about Google Stadia, so be sure to follow Shacknews on Twitter and keep an eye on our GDC 2019 hub for more news and content from this year’s conference. She's good at building teams and managing projects. Really difficult skills to obtain. other than offline and tabling conversations, i am happy to never have heard any of that. what is a quad chart?! Can you guys take this offline? It's like how John Romero could still get investors for years because he worked on DOOM, or how Slash will always have an album contract because he was in GNR. She produced the original Assassin's Creed, even if she never has another hit there's a lot of momentum in that. Coming in as a VP at Google is certainly a reach. Director I could see. VP is crazy, and likely the only way she'd come in. I keep trying to come in as a PIMP but security won’t let me in to your office. Well, Mr. Slickback, we've informed you as to our dress code repeatedly. You need a shirt, sir. Wait are you saying I’m a pimp or I’m your Ho? Please clarify your joke. Either are acceptable.